The Mascus Reporting Tool is not just a reporting tool. It shows you chronological and analytical data, from various perspectives, on the performance of your online ads, your stock and your company profile on Mascus or Mascus Webshop. The data is presented in graphs and in tables and gives easy access to deeper information on these figures. GEO tracking: See statistics for the Top 5 countries visiting your ads. If you are a Mascus Locator customer you will be able to see Locator visitor rates. You can apply the above figures to either ALL catalogs or to specific catalogs. You can see your top visited and least visited ads and based on that, make improvements to your ads. 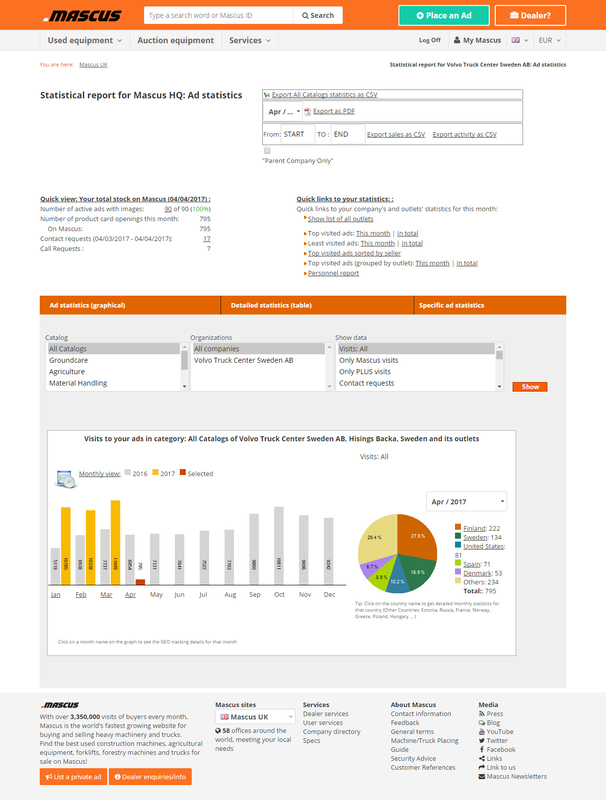 You can also go back to previous recorded months and show the above mentioned figures. You are able to see a statistical history for selected Top 5 countries. If you have sub-companies, branches or outlets registered on Mascus, you will be able to see their figures and can sort them by stock value or machinery sold and compare sellers with each other. With the PDF and Excel export feature, you can export the general statistics as reports in PDF or Excel format and save them on your computer. If you have a Mascus Webshop account, it will give you the data mentioned above as well, and also, if needed, divided by category. You can get more information about the Reporting Tool by contacting your local Mascus staff. 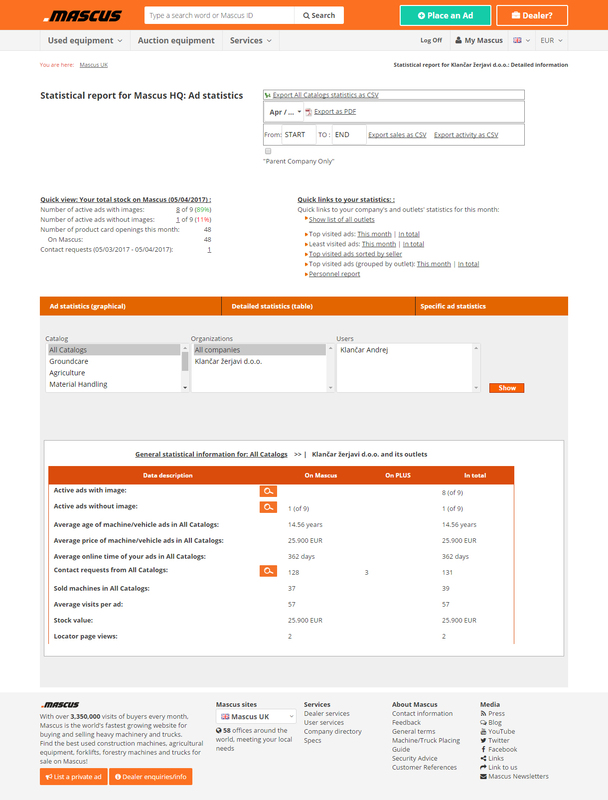 If you want to order the Reporting Tool straight away, just click on the order button.